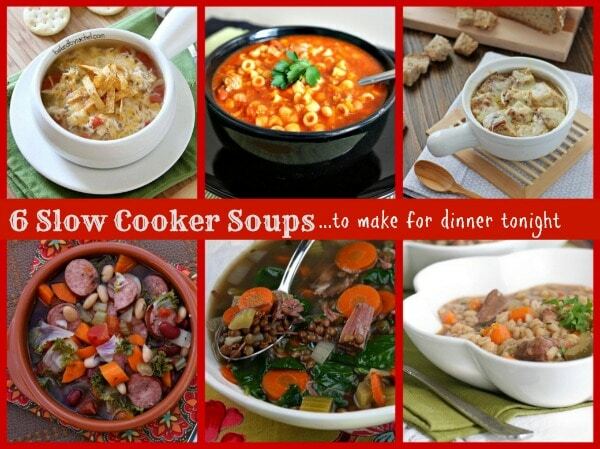 What I’m sharing on Parade Magazine‘s food blog this week: 6 Delicious Slow-Cooker Soups that I want to make for dinner like immediately! Is it cold yet in your part of the world? It’s freezing here. Well, not totally yet… but this San Diego mountain transplant thinks it is. I’ll survive- as long as I have plenty of SOUP to keep me warm! GUESS WHAT I SPOTTED IN TARGET THIS WEEK?????????? >> The Recipe Girl Cookbook!! 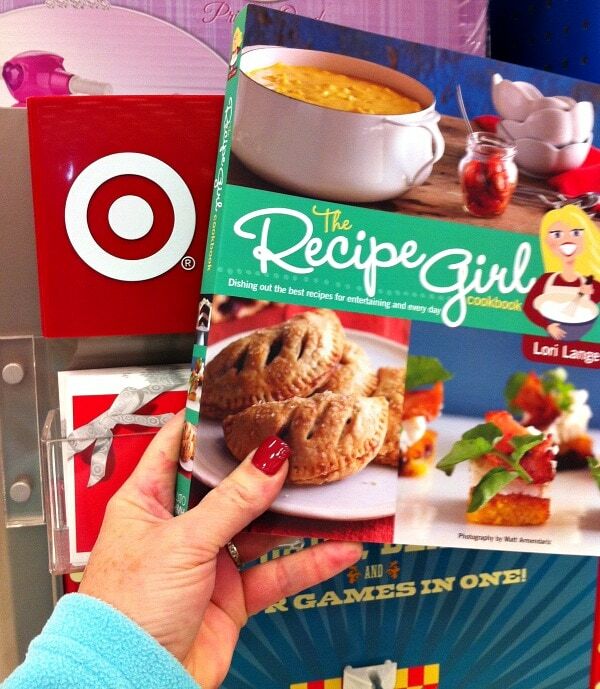 Yep, Target has decided to carry The Recipe Girl Cookbook starting- NOW. It will be easy to pick up copies for holiday gifts. Take a peek at your Target next time you’re there and see if they have my book! This is all too weird… TARGET?????? I mean gosh, I’ve shopped there all my life, and I’m completely in love with the place. And they wanted to carry MY book- YAY x 1 million! Of course you can always still buy it on Amazon too. And geez, what the heck is all over my fingers- red food coloring??? Weird. Do you ever buy the pre-made salads at Whole Foods? They have one just like this. Heidi and I spotted it when we were in Park City together, and we butted heads on who was going to re-create it first on their blog! 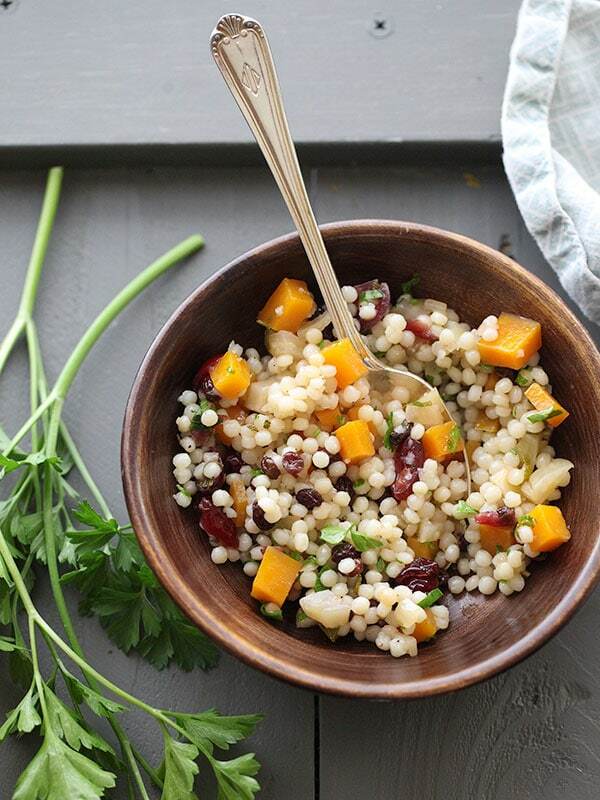 Well, Heidi did it: She made a beautiful Autumn Couscous. Isn’t it pretty?? I think she nailed it. Shutterbean: Tracy is just totally fun, and her personality shines BIG on her blog. She shares delicious, interesting food, fashion, tidbits, amazing photography and a really fun compilation post on Fridays too. i Heart Naptime: Jamielynn runs this creative site where she shares DIY home projects on a budget, crafts, sewing tutorials, easy recipes, tips and techniques. She has amazing, easy ideas. I enjoy her recipe posts the most, of course! 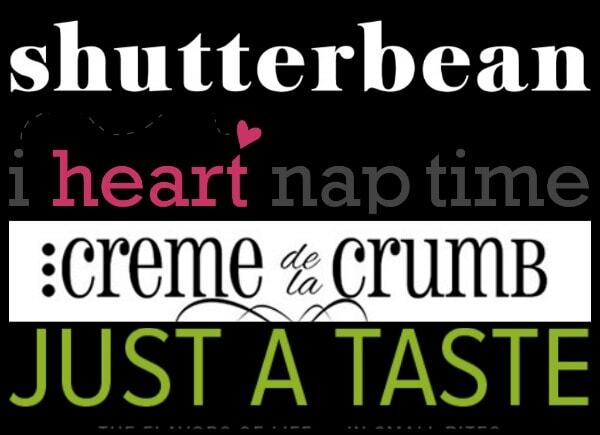 Creme de la Crumb: I’ve just discovered this site by Tiffany, and I’m obsessed! I want to keep scrolling and scrolling through all of her recipes and delicious photography! She does dinners, desserts… everything! Just a Taste: Kelly is just about the sweetest, most lovely person you’ll ever meet. And you’ll see all of that on her blog, where she shares recipes and short how-to videos. I’m always enamored with her new recipe ideas. I don’t hang out on the GoodReads website all that often, but I pop in every year to see who the finalists are for Best Books of the Year. It’s a great way to see what books are creating attention, and get some new ideas for what to read! 2013 nominees are up now! Peanut Butter Cup Cheesecake by Inside BruCrew Life: Seriously, this would be way dangerous in my house. Peanut Butter Cup Crack Brownies by Cookies and Cups: Yes, I’d choose these on the dessert table, for sure! 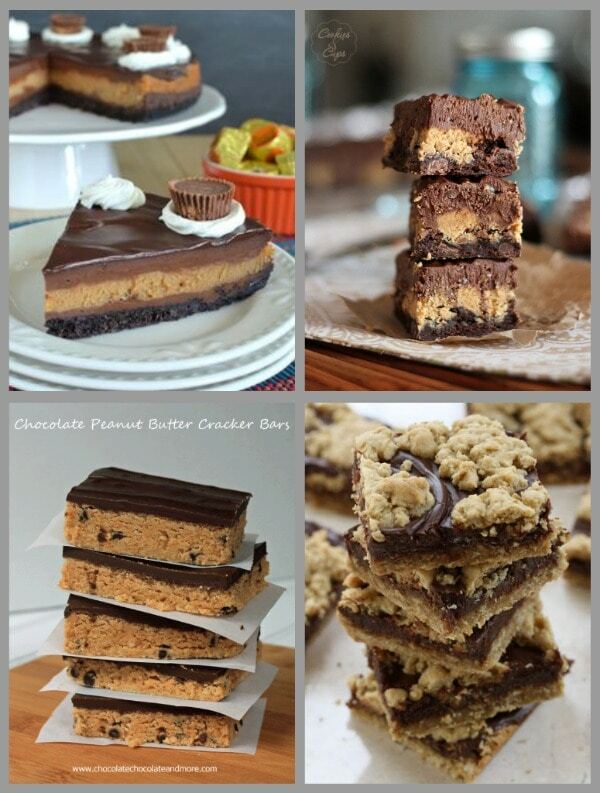 Chocolate- Peanut Butter Cracker Bars by Chocolate, Chocolate &More: This recipe is so easy, it’s ridiculous. Ridiculous = Good. Chocolate- Peanut Butter Revel Bars by Saving Room for Dessert: That fudge swirl… oh my gosh! Have you ever seen the Jimmy Kimmel prankster “I ate all of your Halloween Candy” videos? It’s hilarious to see the kid’s reactions to the confession from their parents that all of their Halloween candy has been eaten. Here’s the latest one from Jimmy Kimmel- from this Halloween. Just click the photo to watch. Be ready to laugh/cry… kids are so funny. Chocolate Lover’s Dream Cake by Taste and Tell: Anything described as “dreamy” is ok in my book. Ultimate Stuffed Acorn Squash by Eats Well With Others: Great-looking vegetarian dish! 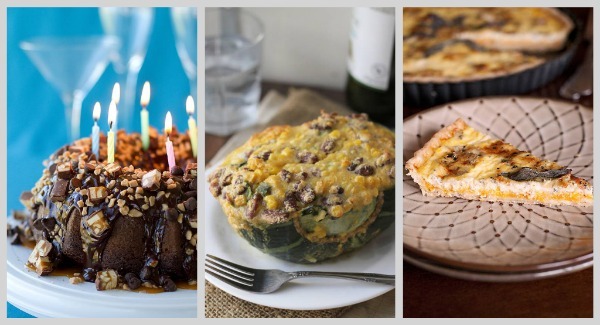 Squash, Sage and Gorgonzola Tart by Sprinkled With Flour: All of these flavors in one- this looks scrumptious too. Something very exciting happened last weekend, I bought myself an elliptical machine (Life Fitness brand) for my birthday!!! I’ve always, always wanted one. I’m so excited about it that I’m quite sure I’ll be doing it every single day forever! The best part is that I can watch streaming Netlix while I’m on the machine, so the time goes by SO fast. 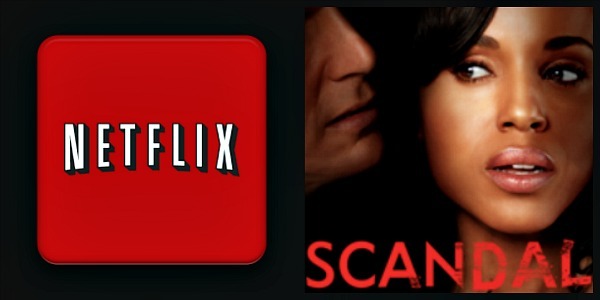 I’m currently in the middle of watching the series SCANDAL– ohmygosh, have you seen it??? It’s a good, gossipy, scandalous series. I have a feeling that I’m going to plow right through it so be sure to give me suggestions on what series to watch next! I AM WONDERING IF IT WILL MESS BROWNIES UP IF I LEAVE OUT TOFFEE CHIPS. MY G-BABY HATES TOFFEE(IKR?). MAYBE I SHOULD ADD CHOCOLATE CHIPS IN THEIR PLACE. IT MIGHT BE TOO MANY CHOC. CHIPS(IF THAT’S POSSIBLE)LOL WHAT DO YOU THINK? The toffee chips kind of melt into the brownie batter, but you can leave them out if you wish.